The new Godsmack compilation, Good Times, Bad Times: 10 Years of Godsmack, was released today. Among the sixteen tracks spanning their 10 year career is the Peart-inspired song "Serenity". The package also includes a 75 minute DVD, "An Evening With Godsmack", featuring a recent acoustic performance filmed at the House of Blues in Las Vegas. During a Q&A with the crowd, Sully Erna explains that "Serenity" was written after reading the book Ghost Rider: Travels On The Healing Road by Neil Peart (pronounced incorrectly as "Pert") of Rush". Erna gives the audience an encapsulated synopsis of Neil's story, and then goes on to credit Neil as being an important influence on he and fellow Godsmack drummer Shannon Larkin. Thanks to Kyle Doyle for the headsup! Neil Peart has updated his website with his latest installment of "News, Weather & Sports": The Hour of Arriving. In it he describes his stays in some of the finer establishments in Europe, discusses his interest in cooking, and closes with memories of a typical show day. 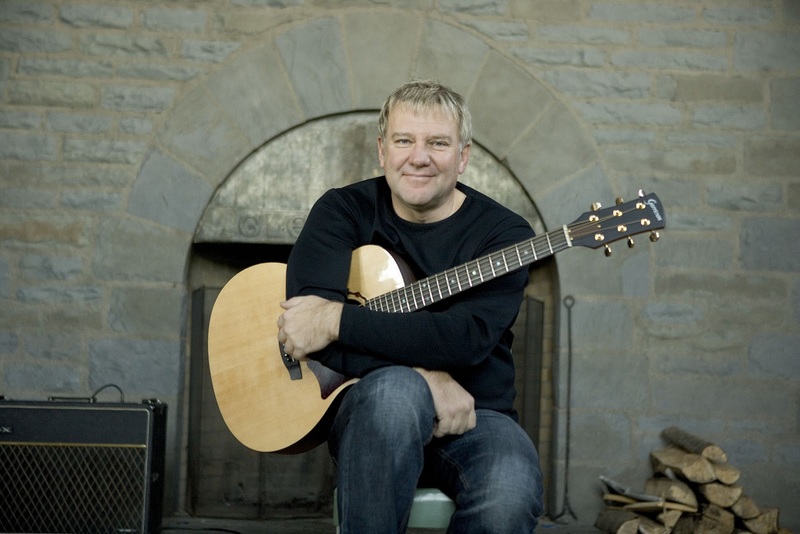 For the second consecutive year, Alex Lifeson auctioned one of his original paintings on eBay to support The Kidney Foundation of Canada. The winning bid was $5,700.00. Click here for details on the A Brush Of Hope fundraising campaign. 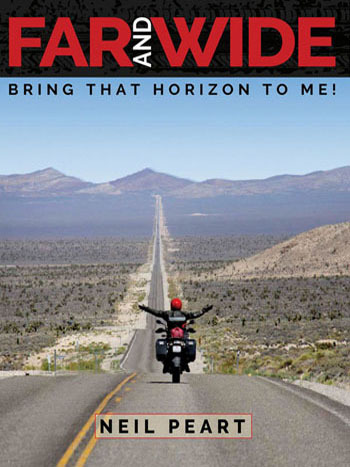 Neil Peart's News, Weather & Sports: "Haste Ye Back"
Neil Peart has updated his website with his latest journal of the road, "Haste Ye Back”. In it, he details his travels over the fifteen show Eurorpean leg of the Snakes & Arrows tour. He also recounts his feelings of shame and anger at reading he was voted second worst rock lyricist (behind Sting) in Britain's "Revolver" magazine, confronting stalking British fans, and the inevitable wearing out and breaking of parts for both his drums, motorcycle, and body. 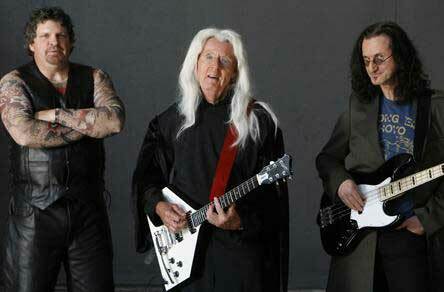 "Altogether, Brutus and I rode 7,268 kilometers (4,543 miles) in Europe, while Alex, Geddy, and I played fifteen shows. That brings me to a total of 39,059 kilometers (24,412 miles) of motorcycling on the Snakes & Arrows tour, on my way to sixty-four shows with the guys at work." Neil also touches on the filming of the Ahoy gigs for the upcoming concert DVD, stating there were 17 cameras recording the shows and that "On that occasion, Alex and Geddy and I were fairly ecstatic to feel that we played really well on those two nights. All things considered, they may have represented the true climax of the tour. Sure, there were many satisfying shows among those sixty-four performances, I am glad to report, but those two are permanent." 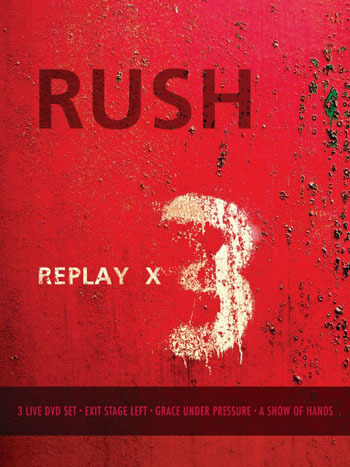 The November Guitar Center catalog includes a new item that will make some Rush fan's holiday season a happy one! Coming this month to select Guitar Center stores, the Neil Peart Signature Snakes and Arrows snare drum. Guitar Center will be selling the snare for $899.99, with no payments until 2009. "This stunning 6"x14" snare features an Aztec Red finish with handpainted gold leaf and metallic gray Snakes and Arrows graphics. The finish is done by DW master craftsman Louie Garcia, who paints Neil Peart's own drums. DW's unique Black Diamond hardware is made of nickle, but it's as hard and durable as chrome. The all-maple shell utilized DW's propietary VLT (Vertical Low Timbre) design, with a vertical grain pattern that allows for a lower overall tone without sacrificing resonance and attack. The special batter head features a printed Neil Peart signature. Everything about this drum was designed in accordance with Neil Peart. This is the same snare Neil is currently using on the Snakes and Arrows tour. See it first at Guitar Center." "Tribute Bands: For The Love Of Rush"
"For The Love Of Rush", a one hour documentary spotlighting Rush tribute bands, premiered Sunday, October 28th on Canada's E! The second episode of Tribute Bands, a four part documentary series narrated by Toronto native and Rockstar: INXS finalist Suzie McNeil, it features "the obsessive Dave Cornwall (a.k.a. Spageddy Lee) who fronts an Arizona-based Rush tribute band called Freewill. Tribute Bands also connects with other groups trying to emulate one of the most technically proficient bands in the world." Each one-hour episode follows a tribute band paying homage to The Police, Rush, Queen and The Tragically Hip. 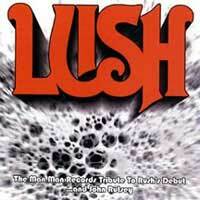 Peart's News, Weather & Sports: "Shunpikin' it Old Skool"
Lush: A Mainman tribute to The Debut Rush And John Rutsey, is now available. Billed as "A loving recreation of Rush's debut album...back when John Rutsey was the drummer and they had greasy hair", the album covers the complete debut album, as well as both sides of the debut single, "Not Fade Away"/"You Can't Fight It". A limited edition, to purchase contact MainMainRecords or Vintage Vinyl in Fords, New Jersey. 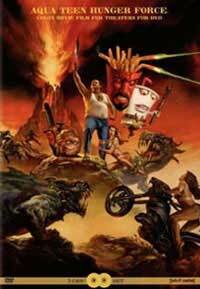 The Aqua Teen Hunger Force Colon Movie is now available on DVD. 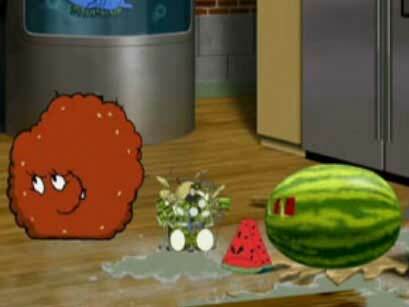 The film includes a cameo by Neil Peart, who voices a miniature of himself (a watermelon seed) who plays the drums. Inspiration for "Red Barchetta" finally meets Peart! Richard Foster, the author of the short story "A Nice Morning Drive" which inspired the song "Red Barchetta", has recently posted an VERY interesting story on a Metro Washington BMW messageboard. In it he tells of first learning of the Rush connection in 1996, becoming a fan, finally contacting Peart in 2006, and finally meeting him while riding with him during the east coast leg of the S&A tour! Check it out here, amazing pictures included of the ride, as well as images of the original story as it appeared in Road & Track. Rush on G4TV's "Code Monkeys"
Rush fans are everywhere! Yesterday saw the debut of G4TV's "Code Monkeys", a new animated show done in the blocky style of old 8-bit computer games. 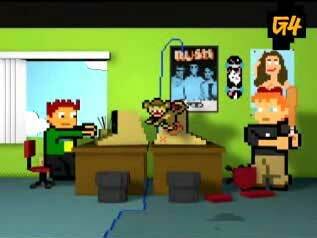 As seen during the opening credits, a Rush poster can be seen hanging on the wall in Dave and Jerry's office (click here to see the original poster). Code Monkeys airs Wednesdays at 9PM ET on GVTV. Geddy Lee on CBC's "The Hour"
Geddy Lee appeared on The Hour with George Stroumboulopoulos last night (Thursday), and the interview is now available on their website. Fan Produced Video for "Sweet Miracle"
Check out this fan made music video for "Sweet Miracle", from Vapor Trails. 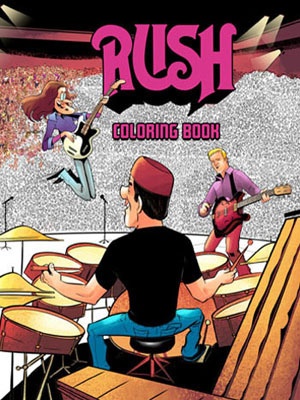 Kimberly, the star of the video, is a big Rush fan, and created the video based on the scene described by Neil Peart on pages 338-339 of Ghost Rider. Visit myspace.com/kimberlys_nyc to read Kimberly's blog and to see pics including the original treatment. Last Sunday night, the CBC aired "Bob And Doug McKenzie's 24 Anniversary" prime time special, celebrating the 24th anniversary of the film Strange Brew. Geddy Lee made a guest appearance which can be seen here. Geddy Lee and Rick Moranis (Doug McKenzie) grew up together, and Geddy sang on their top 40 hit, "Take Off" from their 1981 comedy album, The Great White North. Jazz Covers of "Tom Sawyer"
Two jazz covers of "Tom Sawyer" have been recently released. 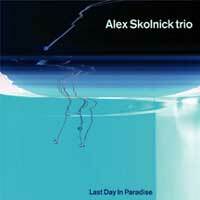 Last Day In Paradise by the Alex Skolnick Trio, was released March 18th. Known for its inventive jazz take on hard rock and heavy metal standards, the album contains seven originals and three covers, including "Tom Sawyer", which can be heard on the band's MySpace page. This is not Alex Skolnick's first released Rush cover; the guitarist for the band "Testament", he also is credited with the guitar solo on the Subdivisions tribute album. 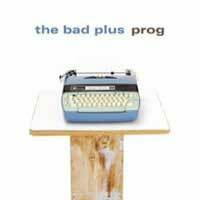 The second jazz cover of "Tom Sawyer" is included on the new album titled Prog by jazz band "The Bad Plus" released May 8th. "...their florid take on Rush's 'Tom Sawyer,' may be likely to get the most attention of anything on the album. But they rely too much on irony, on people's previous perceptions of the music, and do not seem quite as enamored of the original. They're jokes that are funny the first time but not so much the second or third." On April 12th, Geddy Lee appeared on ESPN's "Cold Pizza" and discussed the commercial, the comentator/musicians, and of course, baseball. The commercial is a music-video advertising fantasy baseball on ESPN, featuring the ESPN crew including John Kruk, Peter Gammons and others. The band, "Iron Diamond", has a MySpace page which offers some great photos as well as the full commercial. The full band complement is: John Kruk: lead vocals, ESPN Baseball Tonight Cohost; Peter Gammons: vocals, (home-plate shaped) guitar, ESPN Baseball Tonight Cohost, writer; Bronson Arroyo: vocals, guitar, 2006 MLB All-Star Pitcher; Geddy Lee: vocals, bass, Rush frontman, fantasy baseball genius; Gary Sheffield: drums, MLB slugger with 455 career HR's and counting; Joe Borowski: keytar, closer, 2006 Comeback Player of the Year Finalist; Jennie Finch: vocals, ESPN Fantasy Analyst, Olympic Gold Medalist; Matthew Berry: vocals, Senior Director of Fantasy for ESPN.com; Eric Karabell: vocals, ESPN Fantasy Analyst, ESPN Radio Host; Buster Olney: vocals, ESPN the Magazine Senior Writer, NY Times. 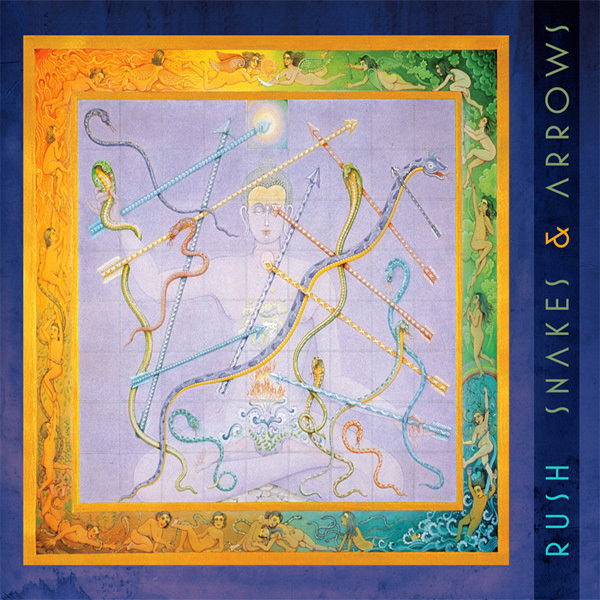 Snakes & Arrows was released on CD May 1st 2007, as a double album on June 19th, as well as the new MVI (Music Video Interactive) format on June 26th. 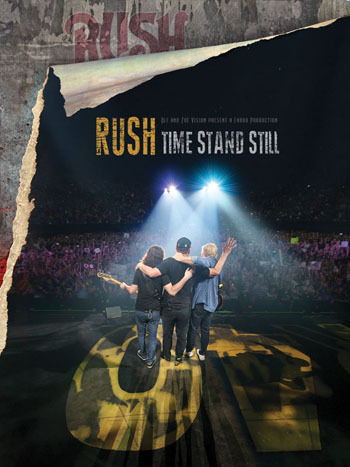 In the UK, a "Special UK Tour Edition" was released September 3rd, essentially as a 2 disk counterpart to the MVI; both include 96kHz/24 bit hi-resolution stereo as well as 5.1 surround sound; "Rush: The Game of Snakes and Arrows" 45-minute documentary on the making of the album; digital extras including wallpapers, buddy icons, screensavers, and more. Click here for complete Snakes & Arrows news archive. 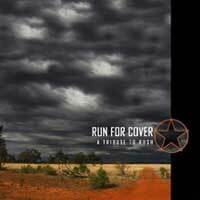 Another release hitting the shelves on May 1st is a new Rush tribute album, Run For Cover, A Tribute To Rush. 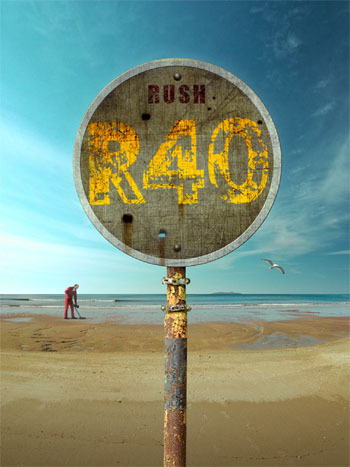 This is the fourth Rush tribute album released in the past decade or so (discounting the classical tributes), but what makes this one stand out is the fact that the members of the band "Run For Cover" are key members of three different premier Rush Tribute bands: Archives, Hemispheres and Limelight. Accordingly, the songs are very well performed, nearly note perfect, as you would expect from musicians who have literally performed them countless times. In addition, they are also performed using the same instrumentation as the originals, down to the Minimoog, Rickenbacker 4003 bass, Gibson ES335 and Gibson Les Paul guitars; the end result is a that unlike most of the performances on the previous tribute albums, they are very faithful to the originals. 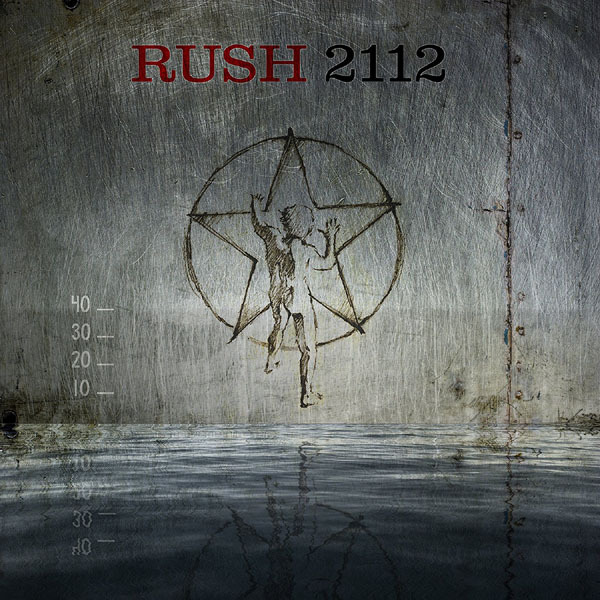 One downside to this tribute album, like all of its predecessors, is the lack of anything from the Rush catalog newer than 1984. One wonders if venturing into the 90's and beyond is not safe territory for Rush tribute bands, or are those songs simply not as marketable for a tribute album? Coinciding with the release of Snakes & Arrows, Mercury/UME is following through with their plan of releasing the individual DVD's of Exit…Stage Left, Grace Under Pressure and A Show Of Hands, which were first released together in the Replay X 3 box. 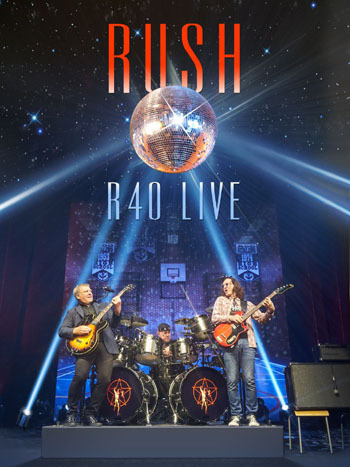 Each DVD features 5.1 surround sound and stereo mixes created for the DVD releases by Alex Lifeson and Mike Fraser from the original concert multi-tracks as well as digitally transferred and remastered visuals. These individual DVD versions are identical to those previously included in the in the Replay X 3 boxed set, which also includes the Grace Under Pressure CD soundtrack. Porcupine Tree's Fear Of A Blank Planet, which includes a guest performance by Alex Lifeson, was released worldwide April 24th. Rob Zombie's "Halloween" Includes "Tom Sawyer"
Rob Zombie's latest film, an adaptation of the 1978 horror classic "Halloween", features a scene with "Tom Sawyer" as the background music. 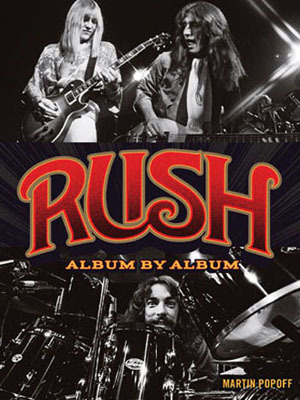 Click here to order the film's soundtrack release, which includes a host of 70's and 80's hits, including Rush's "Tom Sawyer". 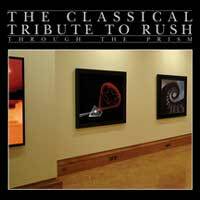 If you were interested yet passed on previous Rush classical tribute albums Exit Stage Right - The String Quartet Tribute to Rush, Chamber Made: Baroque Tribute to Rush, The String Quartet Tribute To Rush's 2112 and The Piano Tribute To Rush, the record label has a new compilation album just for you. 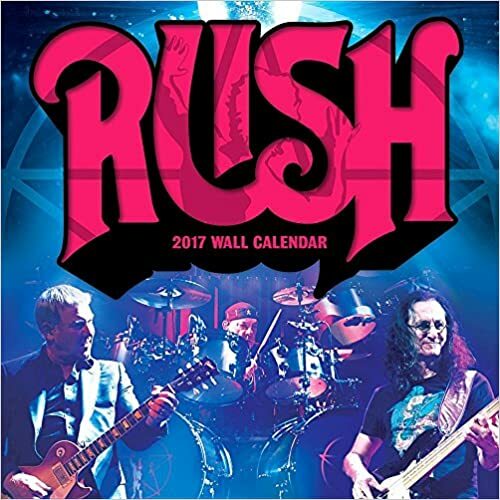 The Classical Tribute To Rush: Through The Prism was released April 3rd containing "14 of the best tracks from these tributes"
Neil Peart's News, Weather & Sports - "The Count of Words"
Alex Lifeson in "Wine Spectator"
Alex Lifeson is interviewed in the April 30th, 2007, issue of Wine Spectator. Subscribers can access the article online. This month's Drumhead Magazine includes an interview with Vertical Horizon singer, Matt Scanell. The article goes into detail of how Vertical Horizon was influenced by Rush, and Scanell also shares the story of his friendship with Neil Peart. Apparently Neil was in Texas selling his BMW car to a lady at a BMW dealership; her husband was Matt Scanell, who was also present and recognized Peart. They hit it off and became good friends. For some time now I've wanted to bring some interactive functionality back to Power Windows, ever since dropping my "guest book" back before the turn of the century (literally), which was followed by the death of my newsletter two years ago. With that in mind, I've converted my News page over to a Newsblog (my RSS news feed has been automatically replaced as well). I've tried to keep the format as close as possible to my original News page, and the frequency and number of my entries will essentially remain the same as in the past. Now, however, you have the ability to comment on each entry as well. The forthcoming release of the new album should make for some interesting talk in the next few weeks, so please speak up! 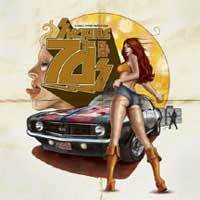 On a related note, a cover of "Working Man", performed by the Suplecs, was included on Sucking The 70s released in 2002. 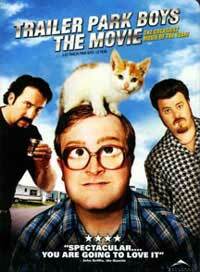 Released only in Canadian theaters last October, Trailer Park Boys: The Movie was released on DVD February 20th. 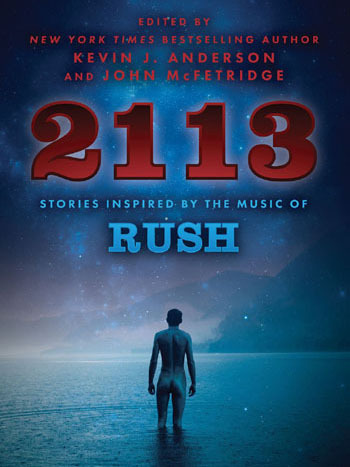 A must for Rush fans, Trailer Park Boys fan Alex Lifeson has a cameo role as a police officer in the film, which also includes many Rush references. 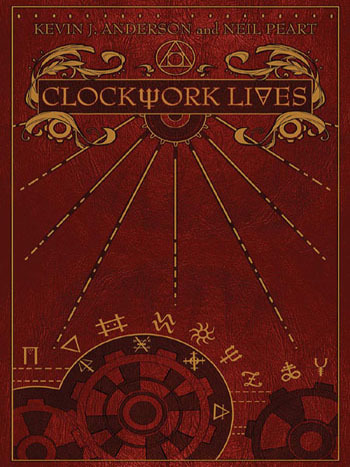 Alex Lifeson and Geddy Lee also perform on the soundtrack (for more information regarding the soundtrack, click here). Rush On "The Family Guy"
Someone involved with the animated television series The Family Guy must be a Rush fan! 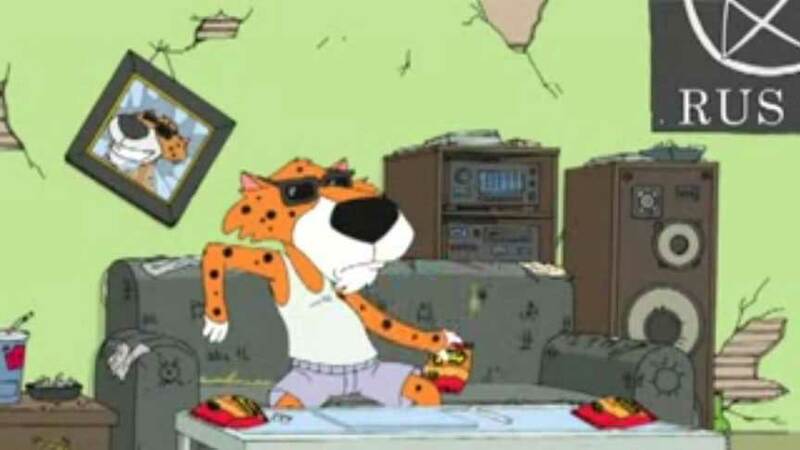 Back in November, a scene included Chester Cheetah (the Cheetos mascot) playing "Tom Sawyer" with a Rush poster on the wall and saying , his Rush poster and his saying "Ah God there is no f(bleeped out) drummer better than Neil Peart (pronounced 'Pert')!". During last night's episode, there was another Rush reference: as Stewie and Brian are leaving Aspen, Colorado, a highway mileage sign gives the distance to Rhode Island as 2112 miles! (Note, this is in fact the actual milelage from Aspen to Rhode Island, +/- 6 miles! Coincidence?). Rush on "The Knights Of Prosperity"
During the opening scene of tonight's episode of the new television series, "The Knights Of Prosperity", the leader of the group chooses "Tom Sawyer" as their theme song, then begins to sing Tom Sawyer along with a karaoke machine as the other members join in. Twice later in the episode the Rush version is played as well. The episode can be seen at ABC.com. 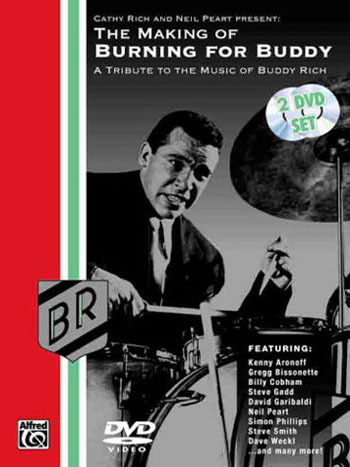 Previously only available on VHS, the complete Buddy Rich Memorial Scholarship Concerts and The Making Of Burning For Buddy are now available on DVD (released in 2006). The Buddy Rich Memorial Scholarship Concerts contains Neil Peart performing three songs with the Buddy Rich Band at the Ritz Theater in New York City on April 8, 1991. These concerts ultimately led to the "Burning for Buddy" albums whose recording sessions were documented on The Making of Burning For Buddy.